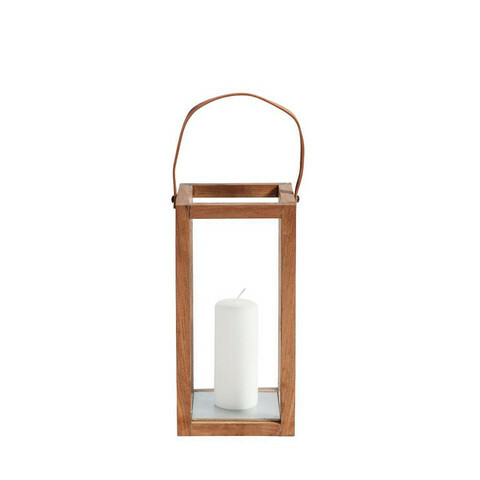 Large lantern in recycled teak with Leather strap. The contrast between the transparent glass and the squared recycled teak carries a minimalistic Nordic signature. Place the squared lanterns outside to welcome guests, or use them inside as a decoration that exudes aesthetic simplicity. Size: 16 x 16 x 32 cm .